The House On Haunted Hill Is Still A Favorite! One of my all time favorite movies from my childhood is the original version of The House On Haunted Hill. Parts of this movie still creep me out to this day, and I’m in my mid 50’s for crying out loud! The screams and the moaning of those ghosts still make me jump. The House On Haunted Hill: The Complete Movie For Your Viewing Pleasure! 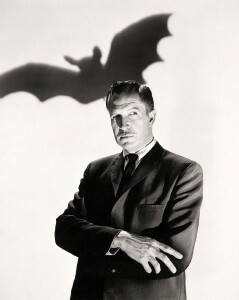 This movie starred one of my favorite actors, Vincent Price. It was directed by William Castle in 1959. Price plays an eccentric millionaire named Fredrick Loren, who along with his 4th wife Annabelle, played by Carol Ohmart, invite 5 people over for what they refer to as a “haunted house” party. A prize of $10,000 will be paid to those who can spend an entire night in the house. This movie, in my own opinion is far better than the one made 40 years later in 1999. The later one just doesn’t hold a candle to the original. As the movie opens the guests arrive in separate cars in a funeral procession led by a hearse. Throughout the night the guests confront ghosts and other terrifying things. Each guest is given a pistol contained in its own little coffin shaped box. Watson Pritchard is convinced that the house is indeed haunted by malevolent spirits, including the ghost of his brother. Annabelle, Frederick’s wife, was never too thrilled to be participating in the party to begin with. She tries to convince the other guests that her husband is unbalanced. As the story unfolds we find out what is really the truth behind the uncanny events that occur in the House On Haunted Hill. Lance Schroeder, a test pilot, played by Richard Long, who I remember best from the old TV western series, The Big Valley. Ruth Bridgers, a newspaper columnist, played by Julie Mitchum. Watson Pritchard, one of the original owners of the house, played by Elisha Cook Jr.
Dr. David Trent, a psychiatrist, played by Alan Marshal. Nora Manning, a beautiful young woman who is the sole supporter of her family, played by Carolyn Craig.